Less Annoying CRM is a web-based and pay-as-you-go customer relationship management (CRM) solution. It enables businesses to streamline their sales and marketing functions, customer support, and project management requirements. In this article, we cover Less Annoying CRM reviews and pricing. Ready to get started? Get a free trial. Users who gave Less Annoying CRM a positive review said that its simple and straightforward system makes their sales processes more efficient. They also added that the customer support team was helpful and courteous. Users who gave Less Annoying CRM a negative review complained about its lack of a search feature for contacts and leads and a mobile app. Some also added that it is limited to small businesses and can be difficult to use for larger businesses. 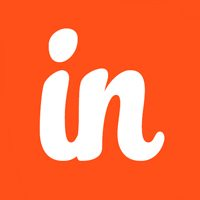 One user who gave Less Annoying CRM a negative review on Capterra mentioned that it can only accommodate up to 50,000 contacts. He also added that it lacked the necessary upgrades to support the growth of his business. Less Annoying CRM pricing has a single pay-as-you-go subscription option priced at $10 per user, per month. This plan has access to all its features like contact management, unified calendars, pipeline management, customization, multiple user collaboration, and more. Users can be added or removed at any time as long as the subscription is active. Ready to get started Less Annoying CRM? Get a free trial. 6 Best CRM for Small Business 2018: CRM software helps your sales team stay organized so they can better focus their efforts and close more deals. In this guide, we compared the best CRM software in terms of deal and opportunity management, workflow automation, price, and other considerations. How Can Less Annoying CRM Help Its Users Keep Track of Their Lead Pipelines? 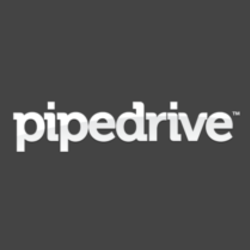 Less Annoying CRM produces pipeline reports that update pipelines and leads in real time. These reports include the status and priority of the lead, contact information, and the note from the most recent communication with them. Users can adjust the data displayed on the reports using the filter. Can Less Annoying CRM Users Import Contacts From External Sources Into the Software? 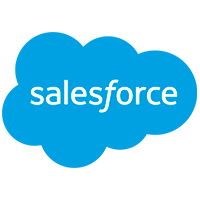 Less Annoying CRM users can import contacts into the software by uploading a spreadsheet of the contacts into its servers. The customer support team can also provide assistance when importing data. Have you read these Less Annoying CRM reviews and are still not sure if it’s the right fit for you? 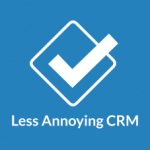 Read our reviews of all top CRM software or check out one of these three Less Annoying CRM competitors. It is a great tool for my small business. With the multiple channels, I can customize my reporting and quickly find information on my clients. So far, I have no complaints. They regularly update the product adding new features. Wish I had known about them sooner. Prior to LACRM I was using old methods with spreadsheets, etc. They are Great for managing contacts and calendar follow ups! It’s all I needed instead of tracking the old fashion way on paper! Customer service is the Best. I would not know as I don’t use the CRM to it’s full potential! I wish I had know about them sooner! They could improve some of their reporting, like doing a ‘keyword search’ in sent emails. Little but convenient stuff. We have been using Less Annoying CRM for about 5 years now. I did a fair bit of research into various CRM systems and compared several off-the-shelf systems with recruitment specific software (we are a small recruitment company). LA seemed very easy to use and we loved the customisable pipelines and the way we could make the CRM work for ourselves with very little training or knowledge of the product. It just seemed to work. The value for money is excellent (especially when compared to more prominent or better known CRM systems) and the customer service is very good too. It does seem as if there is always someone able to get back to you if you have a question. It integrates well with Mailchimp as well. Nothing major but I’d love a feature to link my contacts with their Linkedin profile a little better. Yes, we can store a link to their linkedin profile in the website section of their profile but I’d also love a function to see a picture of the contact too (maybe their Linkedin profile). Also – and this might be really pedantic but the name of the product is a little off putting – ‘Less Annoying’ doesn’t strike people as being the most dynamic title. This can be illustrated by the fact that one of my contacts took herself off my mailing list (MailChimp that integrated with LA) and she took offence at being on a list called ‘Less Annoying’. I just wish I knew about them before so I could have got rid of my Excel spreadsheets earlier. They provide a very flexible, lightweight system for managing contacts and calendars. I was easily able to customize it to meet my staff’s needs, and the web interface is fast and clean. There isn’t anything that I’ve been unhappy with.